Vitesse V101A Jaguar XK8 Coupe Metallic Carnival red. 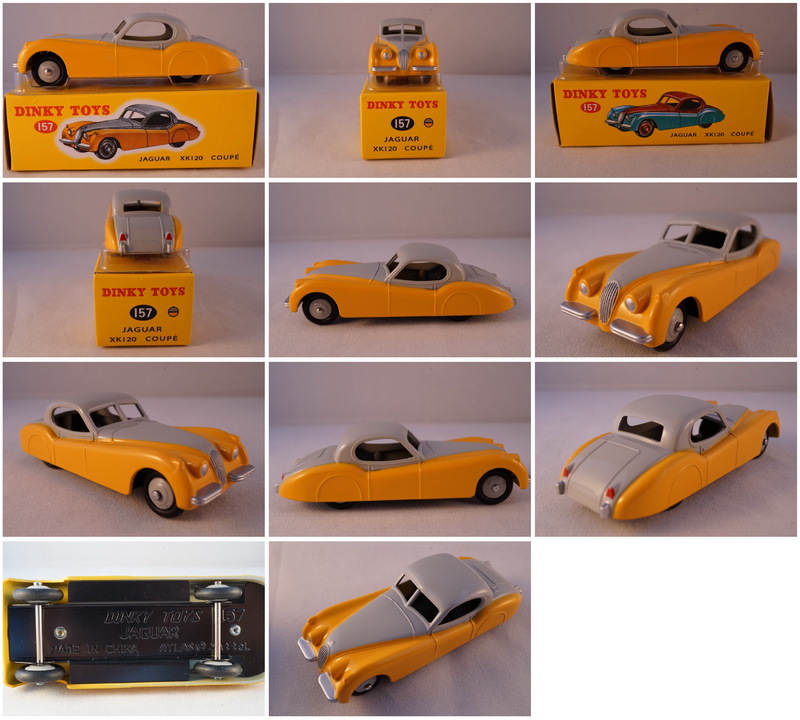 This model is a reissue by Norev of the classic Triang brand Spot On. Limited edition only 1000 pieces. This set is a reissue by Norev of the classic Triang brand Spot On. No manufacturer on baseplate of the model. M&D Ogetti D'arte Jaguar 1967 E Type open. Pewter on wooden plinth, model contains 5 grams of silver. Redbox - Fast Wheels. Jaguar e-type in blue. Ideal Motorific Jaguar e-type (XKE) battery operated motorific computer car (c) 1970. No engine. 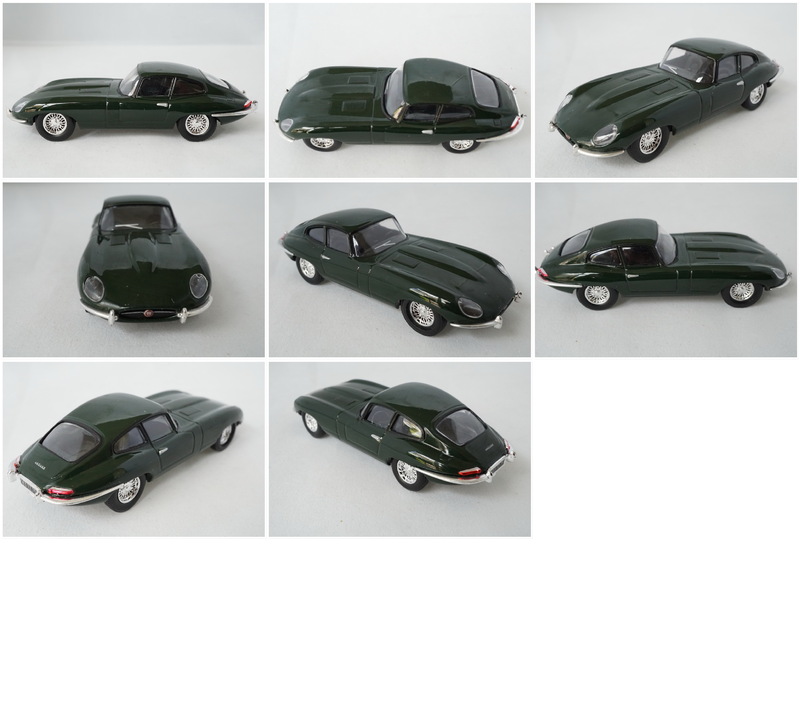 Johnny Lightning Jaguar e-type + Jaguar XK8 in 1/64 scale. 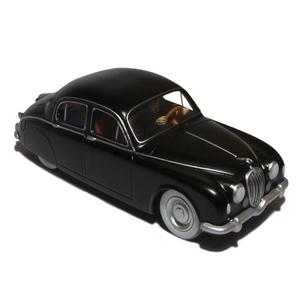 Corgi Jaguar E-type. Issued in the series "A century of cars"
comes free with the yellow one above! Crio (French washing powder) Jaguar XK SS. Plastic 1/43 scale. 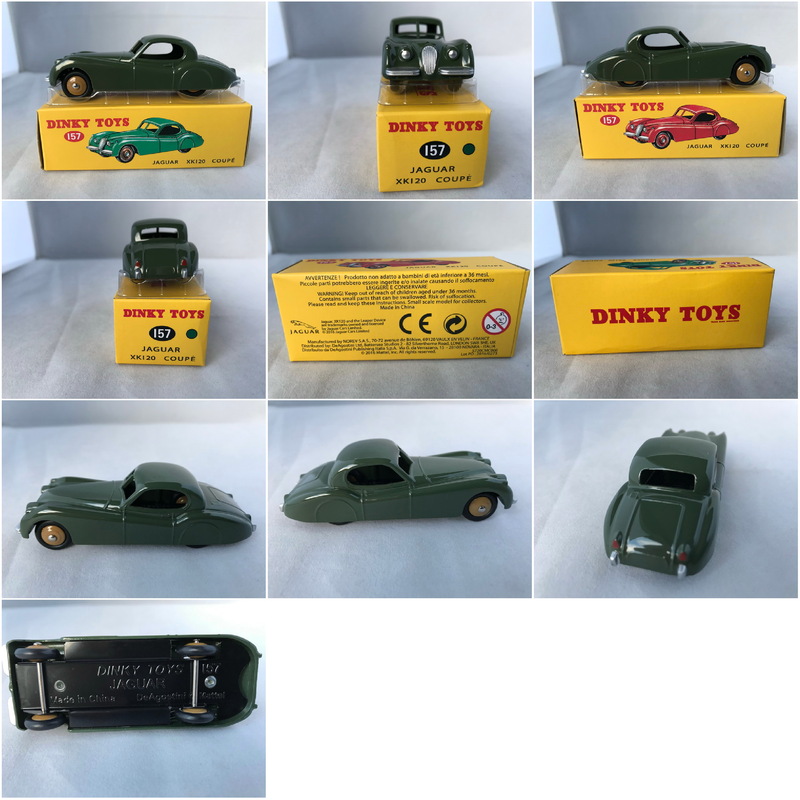 unboxed; good condition; axles show rust. Hongwell-Cararama Jaguar S-type RCM Police 2002 (Canada). Issued in De Agostini Police series. Corgi Jaguar XJR9 - 1988 Imsa series. Promo given with 5 litre tin of Castrol oil.